Get out and about for this regular food treat with 20 stalls featuring food and flavours from around the world. 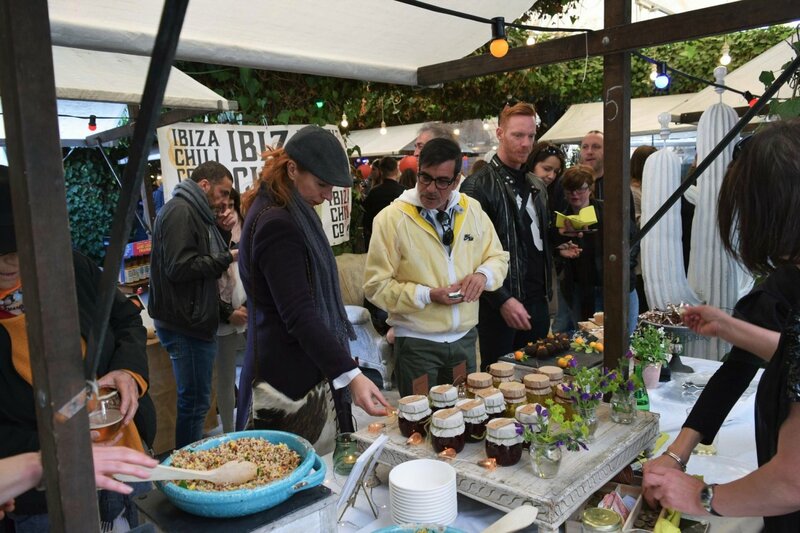 The regular foodie delight that is the Ibiza Food Factory is back with its first 2019 edition this Sunday 27 January. Expect food and flavours from around the world with 20 stalls offering a variety of cuisines put on by a mix of restaurants, caterers and chefs. The free-to-enter gastro event takes place at home and fashion store Sluiz in Santa Gertrudis - all you need do is follow the food aroma. Proceedings begin at midday with plenty to satisfy a hearty appetite from the many culinary delights. Enjoy DJs and live music by JazzYbiza to boogie along with whilst kids have their own entertainment. The Ibiza Food Factory has something for everyone, whatever your food preferences, plus the colourful food stalls and food trucks create a fun atmosphere. If you need more than food, then know that you can pop inside the quirky Sluiz store to see a great range of unusual goods that reflect its wacky personality. This popular day out is sure to be buzzing with people making it a great way to celebrate and enjoy lovely food in early 2019. For a day of savoury and sweet indulgence, get on over to the Ibiza Food Factory this Sunday.